Great Yarmouth based but collaborating internationally, SeaChange are an independent arts development charity. We are dedicated to delivering outstanding opportunities for artists and communities through supporting hosting and delivering circus and street arts projects and events. We run the Drill House, an international creation centre, offering residencies to creative companies and artists of all sorts, a base for various community activities and flexible function and event space for hire. Throughout the year, we work on a number of projects, sometimes intimate, sometimes immense – but always inspirational! Much of this work is showcased each year at the Out There Festival. 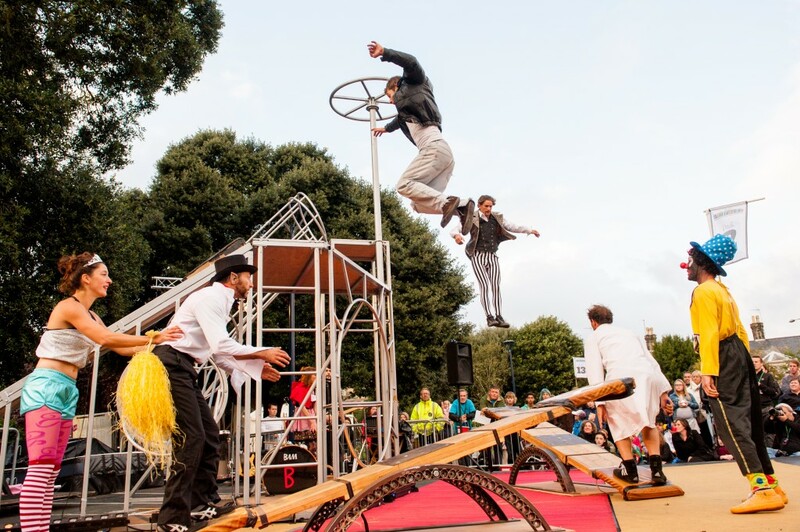 Produced by SeaChange, Out There is now the region’s largest free festival of street arts and circus and regularly attracts audiences in excess of 60,000 people. Our focus on Circus and Street Arts grows naturally from this seaside town’s rich performance heritage, providing an accessible medium to support our work. We deliver an arts development function for Great Yarmouth Borough Council, developing the town as an International Centre of Excellence for circus and street arts creation, training and delivery. As a registered charity, we rely on grants, donations and sponsors to fund our projects and events. Information on those partners and funders can be found here.